GENEVA, Switzerland, November 27, 2013/African Press Organization (APO)/ -- Thousands of people in eastern Puntland are trying to cope with the aftermath of a devastating cyclone. Further south, in Middle Shabelle, tens of thousands are struggling to recover from major flooding by the River Shabelle, especially in and around the town of Jowhar. In Puntland, a cyclone that struck on 10 November left dozens of people dead and up to a million head of livestock wiped out by freak freezing temperatures, high winds and severe floods. "The regions of Nugal and Bari were the most affected," said Abshir Omar Jama, who is coordinating the ICRC's relief effort in Puntland. "Hundreds of families have been rendered homeless, and the economy – highly dependent on livestock farming – has been shattered through the loss of so many animals." "It was raining for three days. It was getting more and more windy and cold," said Mohamed Osman Jama, a livestock herder from Naasa Hablood. "We had 150 goats and lost half of them. We had three houses and they were all swept away by the flood. Our food was lost, too." ICRC and Somali Red Crescent Society personnel have managed to reach the stricken areas and for the last week have been providing much-needed assistance, but access remains very difficult owing to the storm's impact on the road network. "In some places, we had to swim across flooded roads to get to the affected areas," said Mr Omar Jama. In Middle Shabelle, the humanitarian situation is no better. Heavy rains in the highlands of the Horn of Africa over the last two months have swollen the Shabelle River massively, causing major flooding that has forced more than 10,000 people to flee to the town of Jowhar, where they are living in wretched conditions. In addition, the town is trying to cope with some 5,000 people who have sought refuge near the airstrip, 13 kilometres to the north, following violent clashes between rival ethnic groups. "Those who have remained in flood-hit areas, especially in and around Jowhar town, are having to contend with very difficult conditions," said May Hazim, in charge of the ICRC's water and sanitation programmes in Somalia. "Their shallow wells and other sources of water have been contaminated, which represents a major health hazard." All the standing crops in the affected areas have been destroyed. This is primarily an agricultural region, where the farmers are now facing a severe food shortage with the loss of their harvest. Recovering from this economic shock will be a challenge for the community for a long time to come. •	dispatched emergency surgical supplies to Jowhar Hospital for the treatment of weapon-wounded patients and facilitated the transfer of war-wounded people from Jowhar to the ICRC-supported Medina Hospital in Mogadishu. 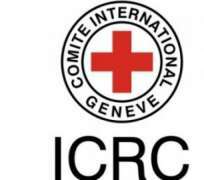 The ICRC and the Somali Red Crescent Society were already working in both eastern Puntland and Middle Shabelle before the recent cyclone and flooding. Both organizations have been supporting the efforts of local communities to strengthen their self-reliance, and will continue to do so.